Slightly hotter than original, which are pretty damn hot. I give 'em a 10Tone: bridge: balanced, with upper-mid spike. neck: scooped, strat-like. Another 10, here. Sonic evaluation: The bridge position is perfect for feeding a hungry Marshall or Hiwatt. If you want Live at Leeds tone, here it is! The neck position achieves a ruthless, Richards-esque grind with ease. Also excells at SRV style tones, although more headroom is needed from the amp, due to the high output. These are reverse-wound, reverse-polarity, so they get an excellent out of phase tone in the middle position. Again, very SRV-like. Definitely a 10. Like it's namesake, the Dirty Harry for Tele emulates the tonal characteristics of a P-90 pickup, but made for a Telecaster bridge opening. The Dirty Harry Tele set adds a P-90ish edge to your trusty Telecaster. 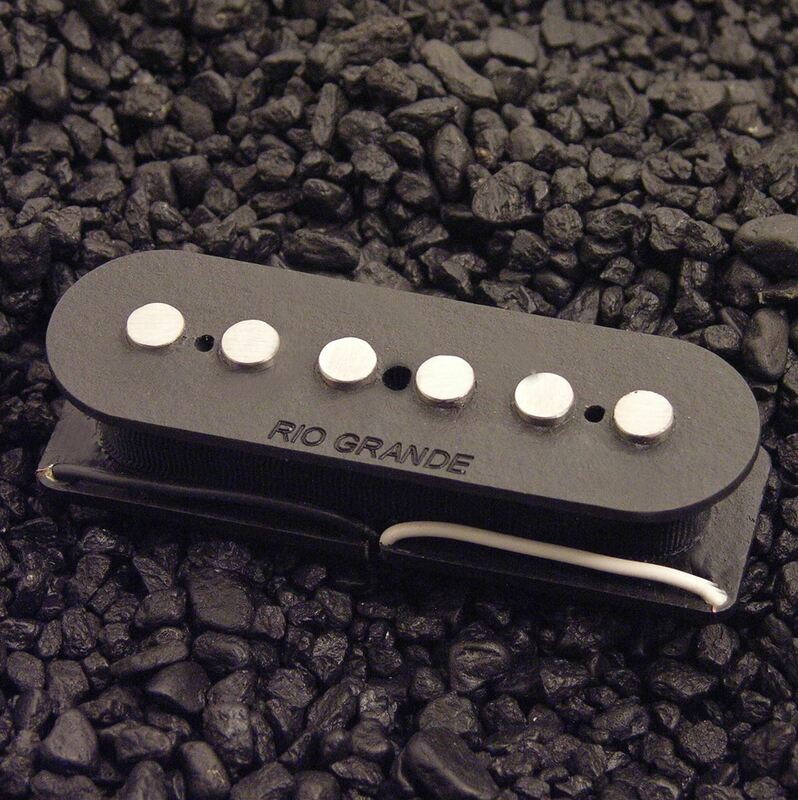 A powerful replacement for the Tele® bridge, the Muy Grande gives you that classic tone you've come to expect, but a lot more of it! Do you feel lucky? We proudly offer our newest addition to our line of replacement pickups for Strats that is guaranteed to make your day.